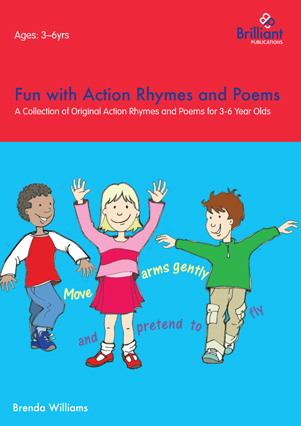 To celebrate World Poetry Day (#WorldPoetryDay), here is a poem by Brenda Williams from Fun with Action Rhymes and Poems. And are back home again. Looking for fun preschool activities now that summer is here? Here are 10 fun activities that young children will love – whether you are at home or in a nursery, mother and toddler group, playgroup or other early years setting. Make giant ice creams. Use light brown A4 paper rolled into a cone and fastened with tape. Fill with scrap paper and glue cotton wool on top as ice cream. Add details like rolled up tubes of paper as a flake, or coloured paint drizzled over as sauce. Talk about: Has anyone been to the seaside? What was it like? Make sandcastle pictures by spreading glue all over sandcastle-shaped pieces of card. Decorate with paper shells and flags, and make seaweed from scrunched-up tissue paper. Sing ‘The Sun has got his Hat on’ – excellent for dancing to and can be found on lots of children’s recordings. Put out paper, brushes and paints and allow the children to ‘free paint’. Talk about Pirates: keep it simple and do not make it too true to life! They sailed the seas in big ships, buried treasure and had parrots on their shoulders. Cut out some simple paper ships and allow the children o paint them. Encourage the children to paint their own flags. They don’t all have to paint the Jolly Roger! Have a summer picnic outdoors. If the weather is bad, just hold the picnic inside. You could even decorate the room with branches and flowers. Why not ask the children to bring a teddy and have a teddy bears’ picnic? Hold a treasure hunt outdoors. Give children a list of things they have to find such as – three different leaves, a red/blue/yellow flower, a small stone, a daisy, a twig – these can be swapped for cut-out coloured shapes if you’re indoors. For more summer activities for young children get Barbara Melling’s Creative Activities for the Early Years. 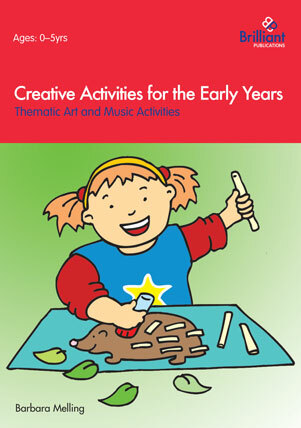 This book contains over 160 art and craft activities for use by reception classes, nurseries, playgroups, and mother and toddler groups –as well as by parents and carers, on a variety of popular early years themes. National Poetry Day is tomorrow, Thursday 8th October. The theme this year is ‘light’. Introducing regular drama activities to young children is a highly effective way of developing the self-confidence, social skills, and understanding of the world that will prepare them for primary school and beyond. Keeping track of the phonics that pupils have learned can be something of a challenge. Not just because there are so many phonics in the English language, but because a phonic that one pupil may have successfully learned is not necessarily the phonic that another pupil has understood.